Ready to master a heart braid? This girls hairstyle is super cute, and it's easy to do! It's a perfect no-fuss hairstyle for special occasions, or as an everyday hairstyle. 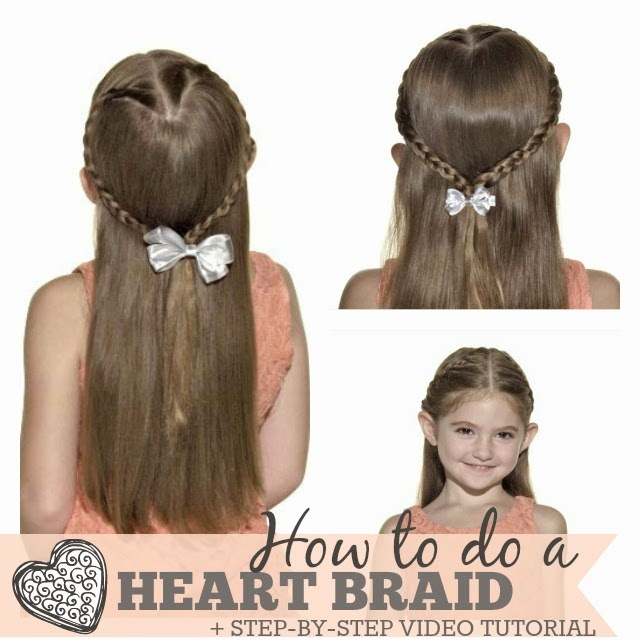 Check out the easy step-by-step video tutorial below on how to do the heart braid. Author and children's hair expert Cozy Friedman first opened Cozy's Cuts For Kids, a premiere children's hair salon aimed at redefining the entire children's hair cut experience in 1992. Now, 12 years and multiple salons later, Friedman introduces SoCozy Professional Hair Care for Children - the first ever premium line of hair care products made with the finest ingredients gentle enough for kids. Offering non-toxic, formulas that perform at salon level with packaging that appeals to kids and parents alike, SoCozy celebrates all hair styles and solves a range of hair care problems faced by kids. After all , being you is our idea of cool! SoCozy, So smart, So safe, So cool. **Disclosure:Company sent media samples. All opinions expressed are our own.